in Charles, Bell, Blackburn, et al., 2018. 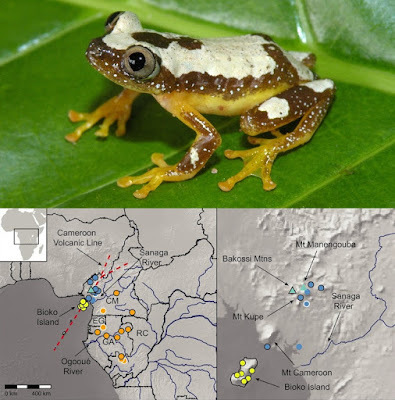 To investigate how putative barriers, forest refugia, and ecological gradients across the lower Guineo‐Congolian rain forest shape genetic and phenotypic divergence in the leaf‐folding frog Afrixalus paradorsalis, and examine the role of adjacent land bridge and sky‐islands in diversification. Location: The Lower Guineo‐Congolian Forest, the Cameroonian Volcanic Line (CVL), and Bioko Island, Central Africa. Taxon: Afrixalus paradorsalis (Family: Hyperoliidae), an African leaf‐folding frog. 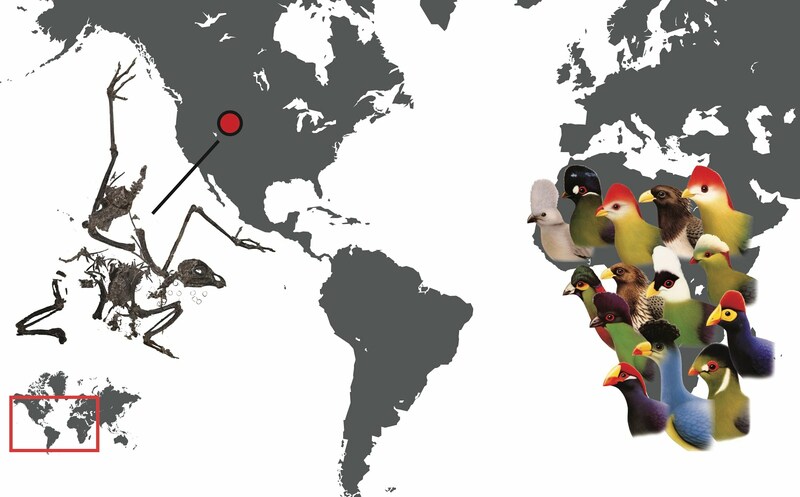 We used molecular and phenotypic data to investigate diversity and divergence among the A. paradorsalis species complex distributed across lowland rain forests, a land bridge island, and mountains in Central Africa. We examined the coincidence of population boundaries, landscape features, divergence times, and spatial patterns of connectivity and diversity, and subsequently performed demographic modelling using genome‐wide SNP variation to distinguish among divergence mechanisms in mainland (riverine barriers, forest refugia, ecological gradients) and land bridge island populations (vicariance, overwater dispersal). We detected four genetically distinct allopatric populations corresponding to Bioko Island, the CVL, and two lowland rain forest populations split by the Sanaga River. Although lowland populations are phenotypically indistinguishable, pronounced body size evolution occurs at high elevation, and the timing of the formation of the high elevation population coincides with mountain uplift in the CVL. Spatial analyses and demographic modelling revealed population divergence across mainland Lower Guinea is best explained by forest refugia rather than riverine barriers or ecological gradients, and that the Bioko Island population divergence is best explained by vicariance (marine incursion) rather than overseas dispersal. We provide growing support for the important role of forest refugia in driving intraspecific divergences in the Guineo‐Congolian rain forest. In A. paradorsalis, sky‐islands in the CVL have resulted in greater genetic and phenotypic divergences than marine incursions of the land bridge Bioko Island, highlighting important differences in patterns of island‐driven diversification in Lower Guinea. one of the strikingly marked species from the Udzungwa Mts. 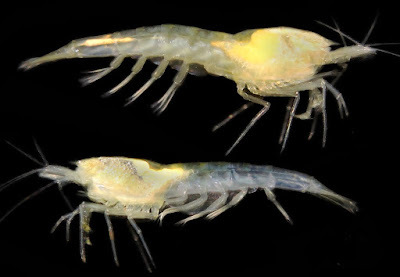 Twenty-two new species of the genus Eviulisoma Silvestri, 1910, from the Eastern Arc Mountains, Tanzania, are described: Eviulisoma acaciae sp. nov., E. aequilobatum sp. nov., E. akkariae sp. nov., E. angulatum sp. nov., E. articulatum sp. nov., E. biquintum sp. nov., E. breviscutum sp. nov., E. cetafi sp. nov., E. chitense sp. nov., E. commelina sp. nov., E. coxale sp. nov., E. ejti sp. nov., E. grumslingslak sp. nov., E. kalimbasiense sp. nov., E. navuncus sp. nov., E. nessiteras sp. nov., E. ottokrausi sp. nov., E. paradisiacum sp. nov., E. sternale sp. nov. and E. zebra sp. nov. from the Udzungwa Mts, E. culter sp. nov. from the Rubeho Mts and E. kangense sp. nov. from the Kanga Mts. Eviulisoma kwabuniense Kraus, 1958, and E. dabagaense Kraus, 1958, both from the Udzungwa Mts, are redesribed based on new material. Notes are provided on E. iuloideum (Verhoeff, 1941) based on type material. Eoseviulisoma Brolemann, 1920, is synonymized under Eviulisoma, based on newly collected material of E. julinum (Attems, 1909), type species of Eoseviulisoma. New material of Suohelisoma ulugurense Hoffman, 1964, type species of Suohelisoma Hoffman, 1964, has revealed that the gonopod structure is more similar to that of Eviulisoma than originally thought, but Suohelisoma is retained as a valid genus. 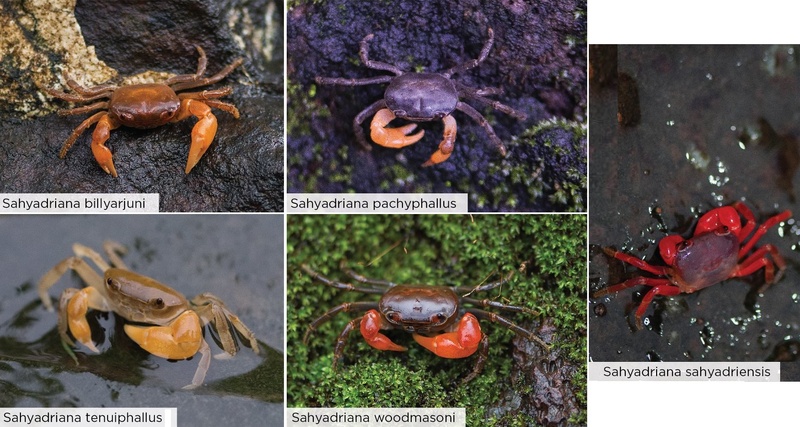 Four species groups are recognized among Eviulisoma species from the Udzungwa Mts, but the need for a revision of the entire genus is emphasized. Two types of epizootic fungi are recorded from Eviulisoma spp., and an enigmatic amorphous mass, which may be a kind of plugging substance, is recorded from the gonopod tips and excavated sixth sternum of several species. Keywords: Taxonomy, new species, epizootic fungi, copulatory plug. Fig. 1. 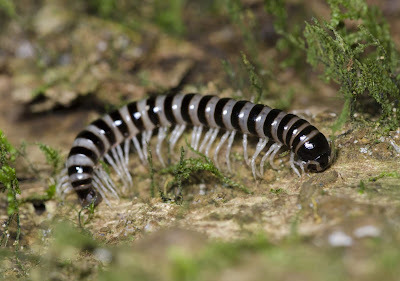 Eviulisoma zebra sp. nov., one of the strikingly marked species from the Udzungwa Mts. 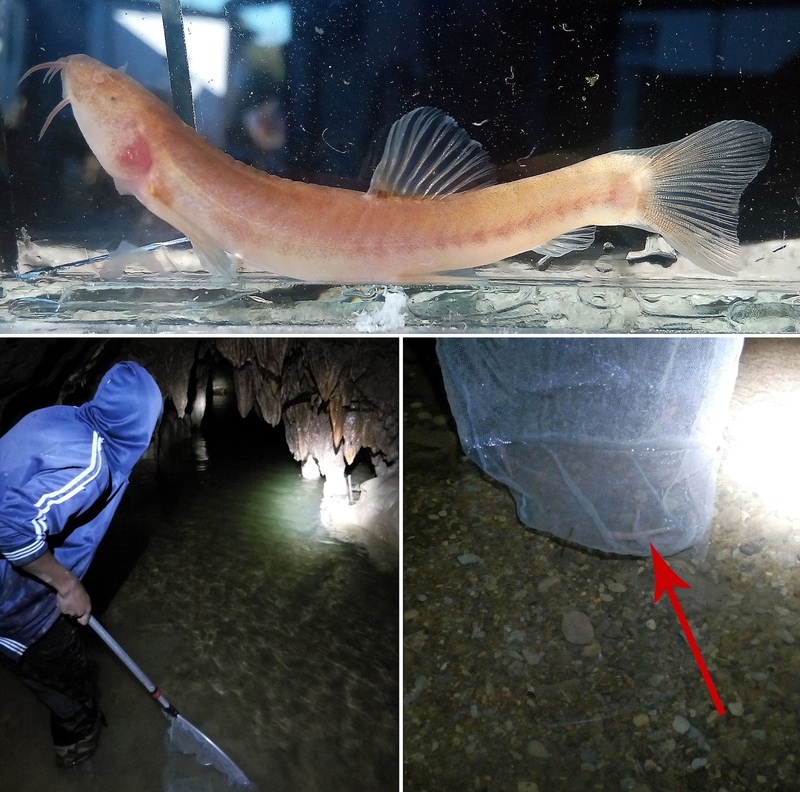 Schistura larketensis, a new species of cavernicolous loach, is described from Khung, a limestone cave in Meghalaya, India. 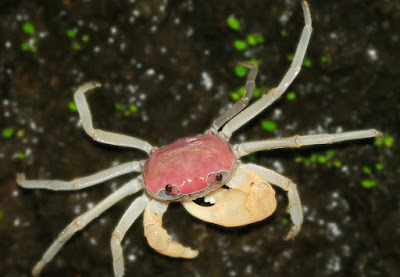 The species differs from Schistura papulifera, its only troglomorphic congener from northeast India, in having a smooth ventral surface of the head, the presence of a small cylindrical axillary pelvic lobe, and the presence of three pores in the supratemporal canal of the cephalic lateral-line system. 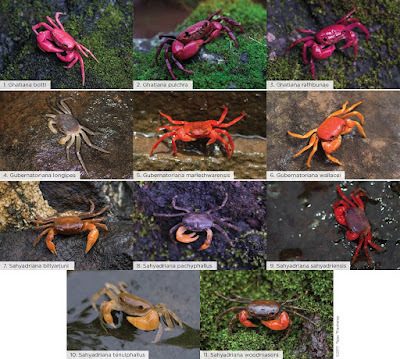 Apart from these differences, the species can be immediately distinguished from all other species of Schistura from the Brahmaputra River and neighboring basins by the complete absence (or only vestigial presence) of eyes. FIGURE 2. 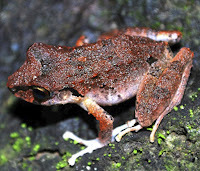 Live colouration of Schistura larketensis, GUMF uncat, about 52 mm SL; India: Meghalaya: Krem Khung. Etymology. The species name is derived from the ‘Larket’ village, the locality of Krem Khung. This name is proposed so as to encourage the village to take up biodiversity conservation as it is already in the process of constituting a Biodiversity Management Committee under the Indian Biodiversity Act. Habitat. The new species was collected from a small stagnant pool a few square meters in area and about 1 m in depth, located in a wet passage some 500 m from the main entrance of Krem Khung. The pool bed is mostly sandy with scattered pebbles (Fig. 5). The water was clear, pH 8.6, and a very low D.O. of 1.1 ppm when analyzed in the month of April 2015. No other macrofauna were recorded inside the cave except weakly-pigmented crabs and crayfish, crickets, cockroaches and millipedes. Distribution. ...., East Jaintia Hills District, Meghalaya, India. FIGURE 5. Photograph showing water pool in Krem Khung, the habitat of Schistura larketensis. 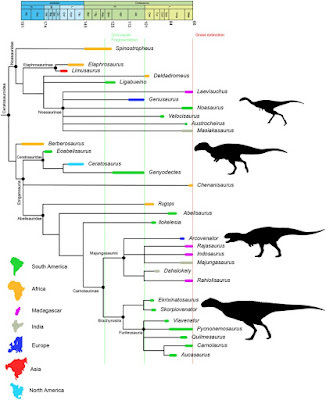 The hypothetical phylogenetic relationships of ceratosaurs based on current topologies. The main source is from Wang et al. (2016). Hypothetical reconstruction of two abelisaurids showing the soft tissues on the head inferred from osteological morphology of the skull. 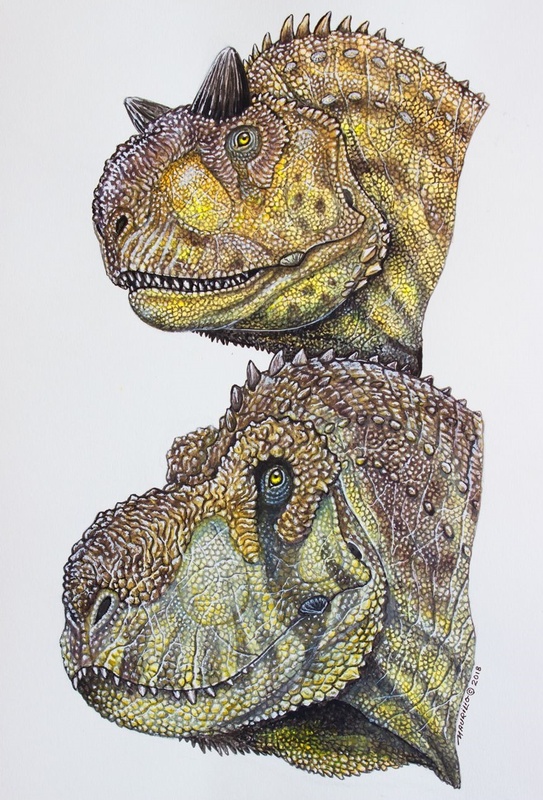 On the top, Carnotaurus; on the bottom, Pycnonemosaurus. Art by Maurilio Oliveira. Ceratosaur theropods ruled the Southern Hemisphere until the end of the Late Cretaceous. However, their origin was earlier, during the Early Jurassic, a fact which allowed the group to reach great morphological diversity. 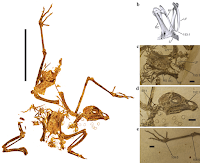 The body plans of the two main branches (Noasauridae and new name Etrigansauria: Ceratosauridae + Abelisauridae) are quite different; nevertheless, they are sister taxa. 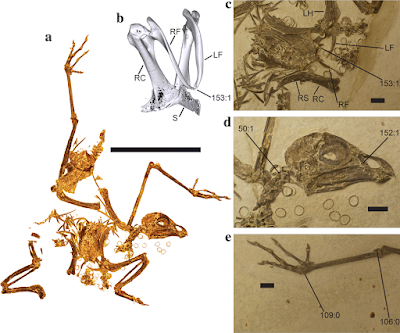 Abelisaurids have lost the ability to grasp in the most derived taxa, but the reduced forelimb might have had some display function. The ontogenetic changes are well known in Limusaurus which lost all their teeth and probably changed the dietary preference at maturity. 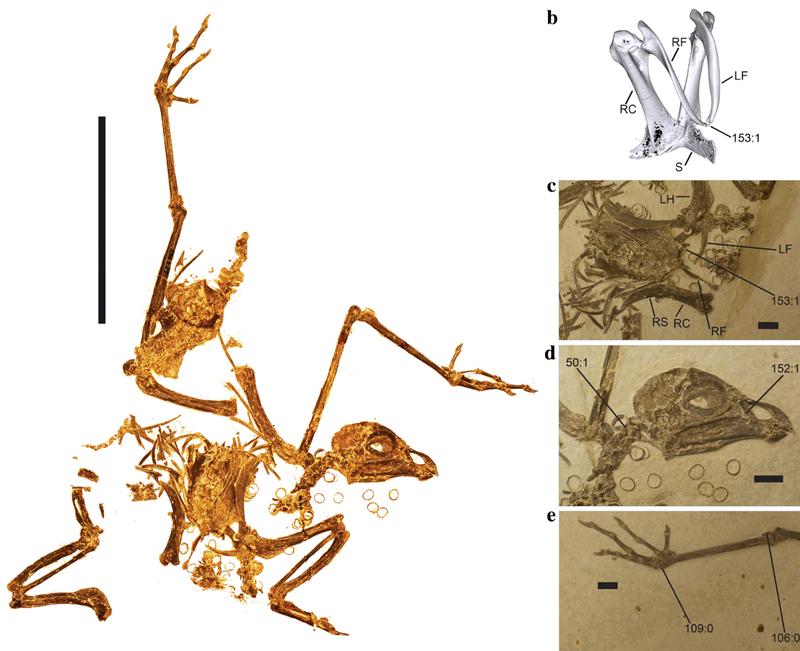 The results presented here suggest that abelisaurids had different soft tissues on the skull. These tissues might have been associated with evolution of a strong cervicocephalic complex and should have allowed derived taxa (e.g. Majungasaurus and Carnotaurus) to have low-displacement headbutting matches. 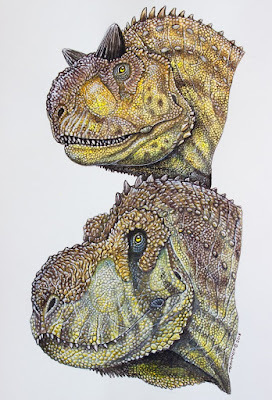 The ability to live in different semi-arid environment plus high morphological disparity allowed the ceratosaurs to become an evolutionary success. Figure 1 The hypothetical phylogenetic relationships of ceratosaurs based on current topologies. The main source is from Wang et al. (2016). 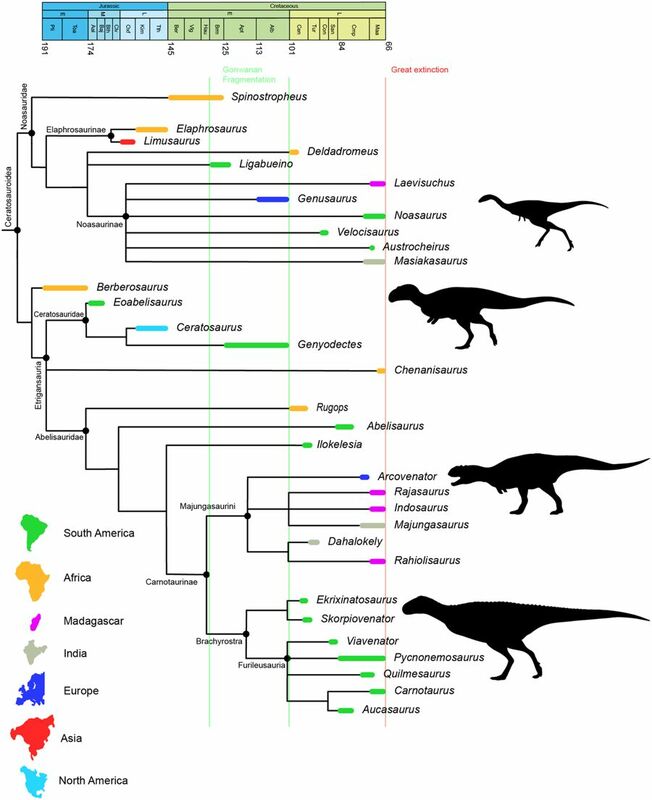 The phylogenetic position of Chenanisaurus is from Longrich et al. (2016) and the Ligabueino, Austrocheirus, Majungasaurinae and Brachyrostra are from Filippi et al.(2011). 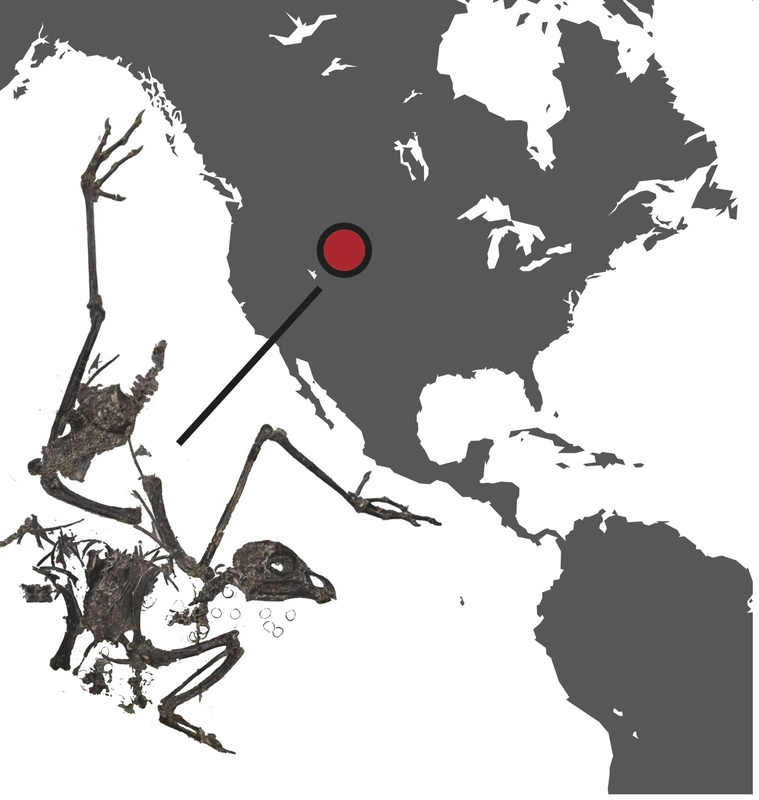 Figure 4 Skin structures inferred for abelisaurids. 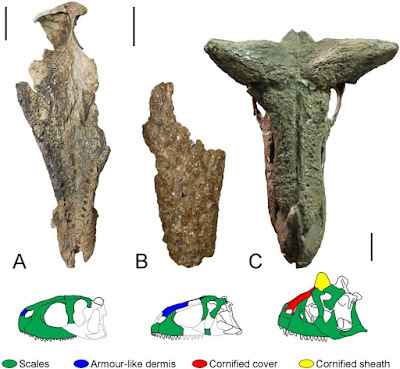 Dorsal surface of the skull of (A) Rugops (MNN IGU1), (C) Carnotaurus (MACN-CH 894) and dorsal surface of the fused nasal of (B) Abelisaurus (MPCA 11908). Scales bar: 5 cm. Figure 6 Hypothetical reconstruction of two abelisaurids showing the soft tissues on the head inferred from osteological morphology of the skull. 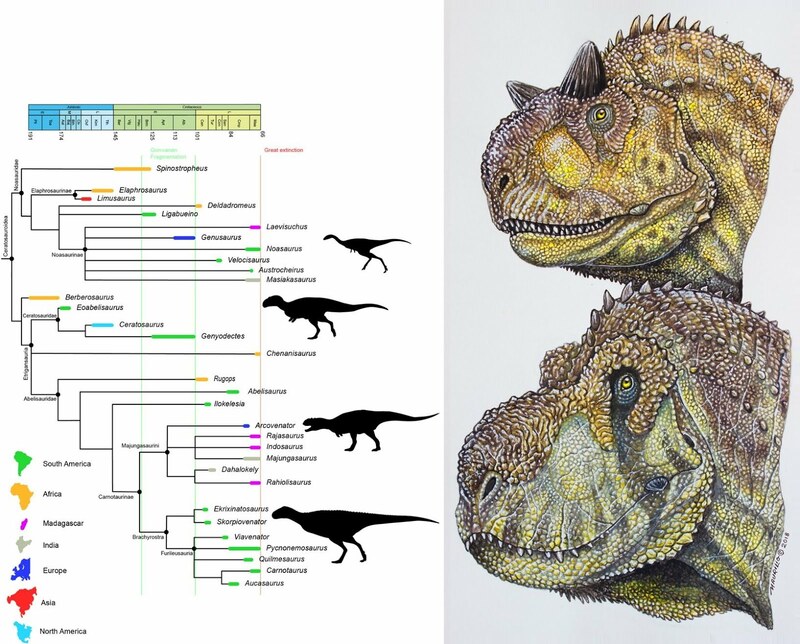 On the top, Carnotaurus; on the bottom, Pycnonemosaurus. The taxonomy of three morphologically related and endemic genera of the northern Western Ghats (Ghatiana Pati & Sharma, 2014, Gubernatoriana Bott, 1970, and Inglethelphusa Bott, 1970) is re-assessed to accommodate several new taxa. 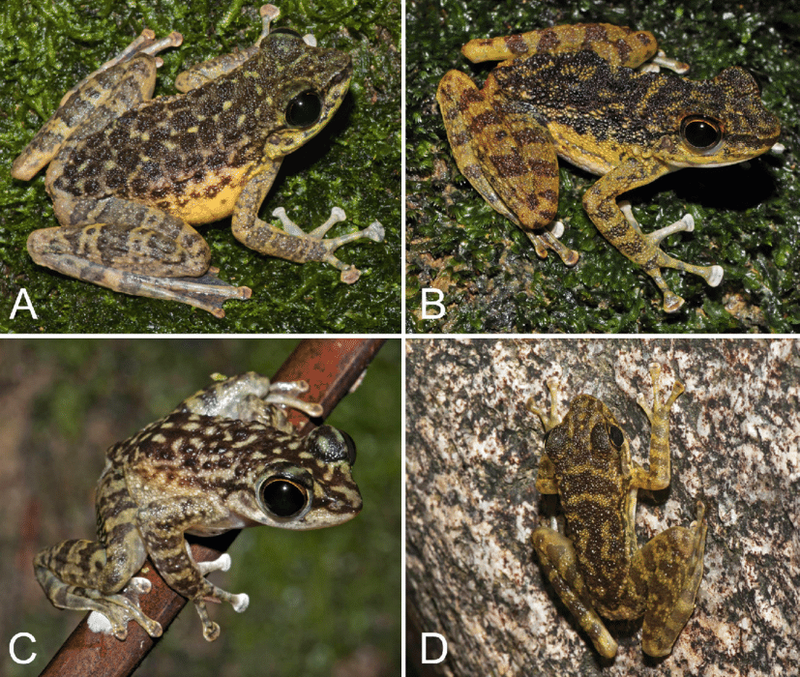 We describe a new genus, Sahyadriana gen. nov. and its five new species [S. billyarjani sp. nov., S. pachyphallus sp. nov., S. sahyadriensis sp. nov. (type species), S. tenuiphallus sp. nov., and S. woodmasoni sp. nov.]. 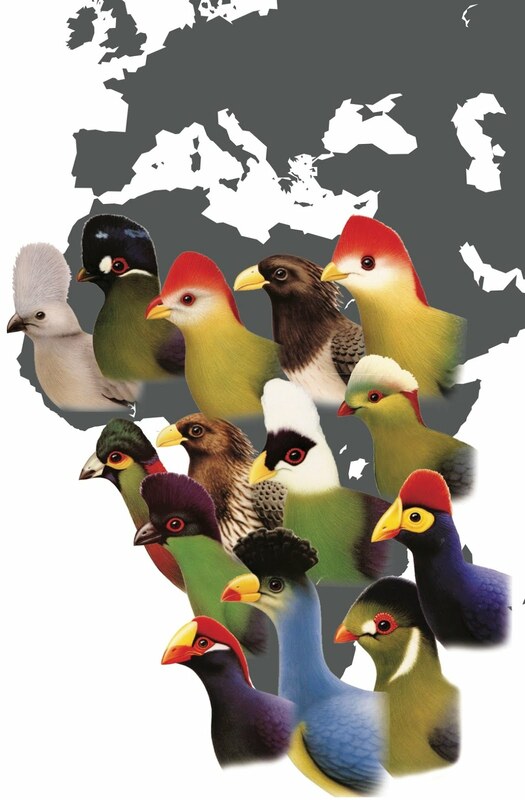 Additionally, three new species each of Ghatiana (Gh. botti sp. nov., Gh. 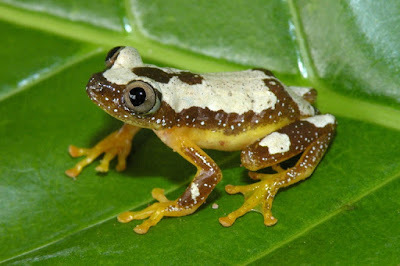 pulchra sp. nov., and Gh. rathbunae sp. nov.) and Gubernatoriana (Gu. 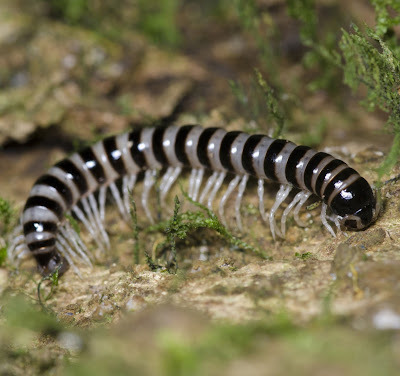 longipes sp. nov., Gu. marleshwarensis sp. nov., and Gu. wallacei sp. nov.) are described. 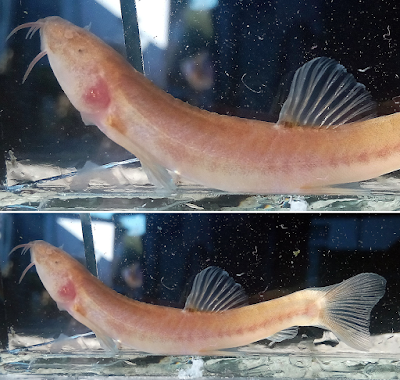 Five species previously in Gubernatoriana are now transferred to Sahyadriana gen. nov., viz. S. alcocki (Pati in Pati, Thackeray & Khaire, 2016) comb. nov., S. pilosipes (Alcock, 1909) comb. nov., S. thackerayi (Pati in Pati, Thackeray & Khaire, 2016) comb. 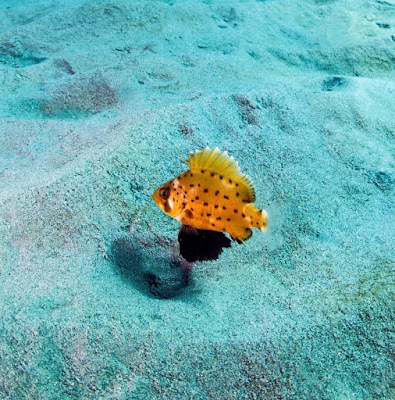 nov., S. triangulus (Pati & Sharma, 2014) comb. nov., and S. waghi (Pati in Pati, Thackeray & Khaire, 2016) comb. nov. Gubernatoriana basalticola Klaus, Fernandez & Yeo, 2014, is transferred to Ghatiana. Inglethelphusa is still proved to be monotypic. Consequently, Ghatiana now contains eight species, three of which are new; Gubernatoriana, four species, including three new species; Inglethelphusa, one species; and Sahyadriana gen. nov., ten species, including five new species. 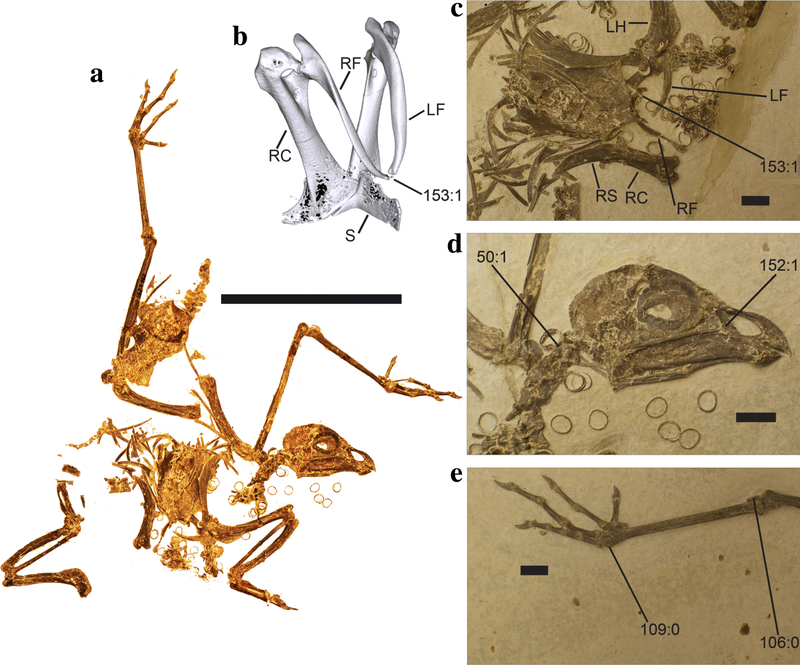 Sahyadriana pilosipes is rediscovered more than a century after its description. 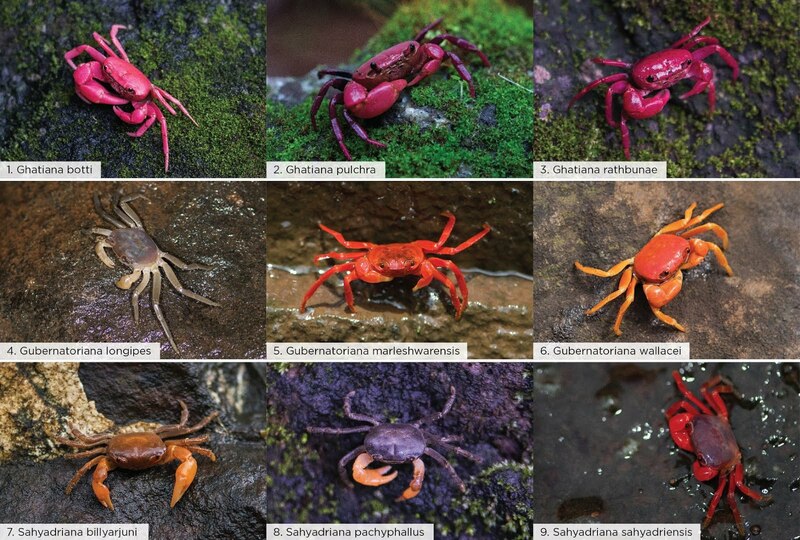 All these genera can be separated from other Indian gecarcinucid crabs by the absence of a flagellum on the exopod of the third maxilliped and a very short G2. The relevant identification keys are revised. 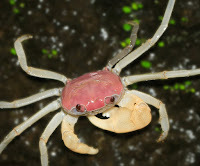 Currently, 120 species of freshwater crabs under 35 genera and two families are found in India. Kerala is the most species-rich (35 species) state in India followed by Maharashtra (29 species) and Assam (21 species). The Western Ghats of India now includes 17 genera and 58 species of gecarcinucid crabs. A checklist and distribution of Indian freshwater crabs is provided. Previously, only one species of torrent frog (Amolops larutensis) was thought to occur throughout Peninsular Malaysia. 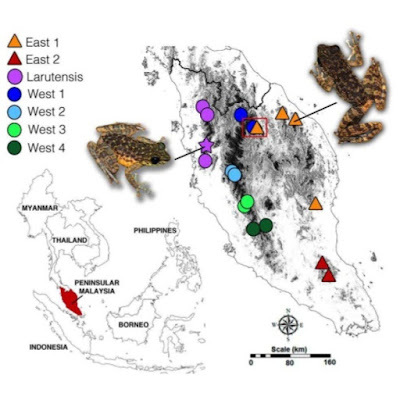 However, genomic work has demonstrated that populations from eastern Peninsular Malaysia form two separate lineages that are genetically distinct from A. larutensis that is now restricted to the western half of Peninsular Malaysia. This study demonstrates that all three lineages can be morphologically distinguished from each other, thereby providing additional support for the recognition of the eastern lineages as two distinct species. These lineages are described herein as Amolops gerutu sp. 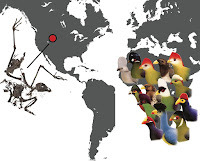 nov. from the eastern states of Kelantan, Terengganu, and Pahang, and A. australis sp. nov. from the southern-most state of Johor. In general, these two new species form a clade that is sister to A. larutensis and can be readily distinguished from it by having: (1) considerably denser and more pronounced dorsal tubercles, and (2) the posterodorsal surface of thighs having dense, dark stippling as opposed to broad vermiculations. 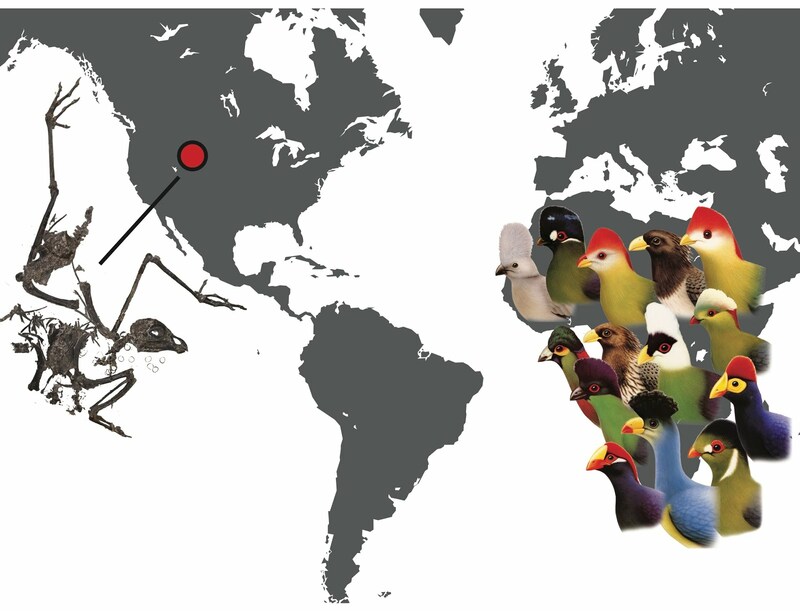 Although differences in other morphometric characters were detected, their utility as diagnostic characters should be applied with caution due to the large intraspecific variation that overlaps among different species in many of the characters we measured. As such, we advocate for the use of tuberculation and pattern of the posterodorsal portion of the thighs as primary diagnostic characters. 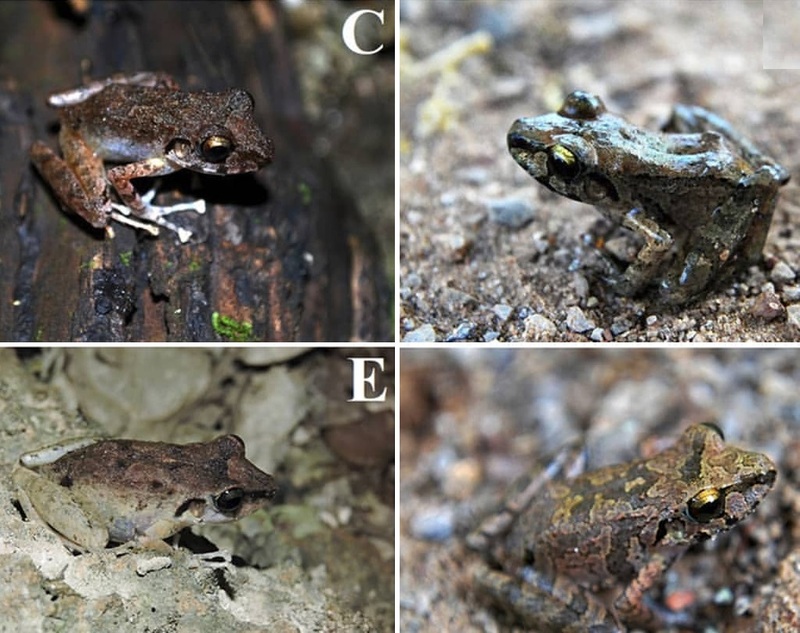 These characters can readily distinguish A. larutensis from the two new species. To differentiate A. australis sp. nov. from A. gerutu sp. 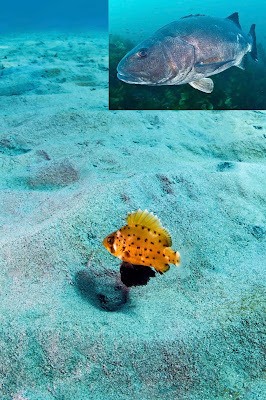 nov. and A. larutensis, body size can be a good diagnostic character as A. australis sp. nov. is significantly smaller in both males (mean = 31.04 ± 1.59 mm) and females (mean = 46.48 ± 3.2 mm). Additionally, we show a strong positive correlation between body size and elevation, with populations from montane forests (>900 m asl) being considerably larger than populations at lower elevations. 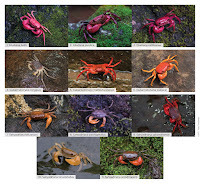 Amolops larutensis Sumarli, Grismer, Anuar, Muin & Quah, 2015, pp 4,9,12. Distribution. Besides the type locality, Amolops gerutu sp. nov. has been documented from a number of other localities east of the Titiwangsa mountain range including Gunung Stong Forest Reserve, in the state of Kelantan; Lata Tembakah, Lata Belatan, and Sekayu Recreational Forest in the state of Terengganu (Dring 1979; Sumarli et al. 2015); and Sungai Lembing, Sungai Pandan Waterfall, and Chemerong Amenity Forest in the state of Pahang. At Gunung Stong, A. gerutu sp. nov. occurs in syntopy with A. larutensis (Fig. 1). Natural history. Like most congeners, Amolops gerutu sp. nov. is a strict torrent specialist that only occurs within or along torrential zones of rocky streams from lowland to montane forests. During the day, frogs dwell in rock cracks and sheltered areas among boulder stacks along streams and are rarely seen out in the open. They can be seen in abundance at night, most frequently on boulders by splash zones and occasionally on adjacent low vegetation. When disturbed, frogs dive into the rapids and float downstream. Like other congeners, tadpoles of this species are gastromyzophorous (Pham et al. 2015) and can be seen clinging onto boulders in the splash zone. On such boulders, tadpoles are usually observed above or just below the water line. Etymology. The specific epithet “gerutu” (English pronunciation “gir-roo-too”) refers to the Malay word of the same construct, meaning “tubercle”, in reference to the pronounced dorsal tubercles that are diagnostic of this species. Amolops larutensis, Ahmad, Senawi & Lim 2004, p 26; Belabut & Hashim, 2005, p 200; Wood, Grismer, Youmans, Nasir, Ahmad & Senawi, 2008, p 118; Grismer & Pan, 2008, p. 277 (in part); Shahriza, Ibrahim, Anuar & Muin, 2012, p 558, 561. Staurois larutensis, Belabut & Hashim, 2004, pp. 67, 69. Distribution. Amolops australis sp. nov. is only known from the southern state of Johor where it has been confirmed to occur in Endau-Rompin National Park and Bantang River Amenity Forest. 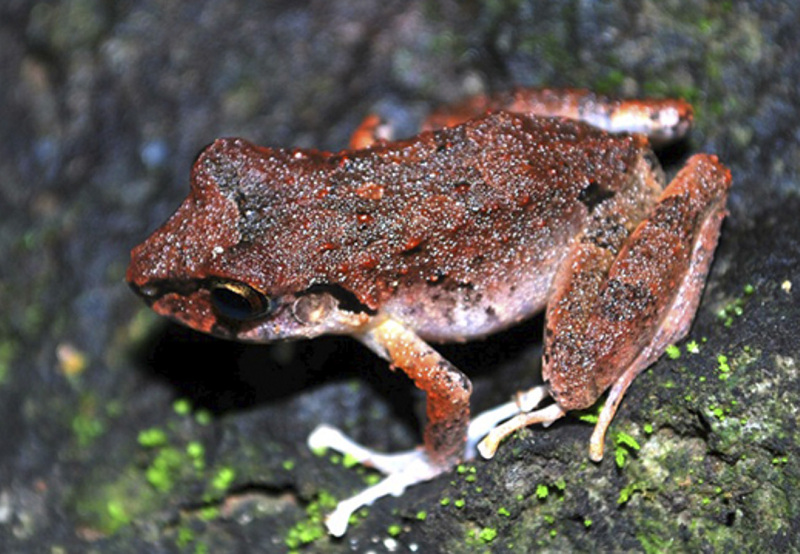 It is presumed to occur more widely in suitable habitats in the surrounding southern region of Peninsular Malaysia. Natural history. 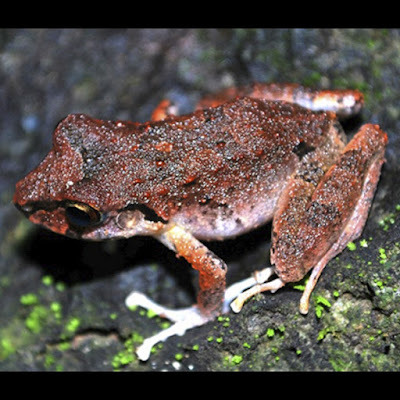 The natural history of this species is similar to that of Amolops gerutu sp. nov. and A. larutensis. No information is available for tadpoles. Etymology. The specific epithet is derived from the Latin word “ australis ”, meaning “southern” in English, and is applied in reference to the distribution of this species in southern Peninsular Malaysia that also represents the southern-most distributional limit of the entire genus. in Benseman & Allen. 2018. 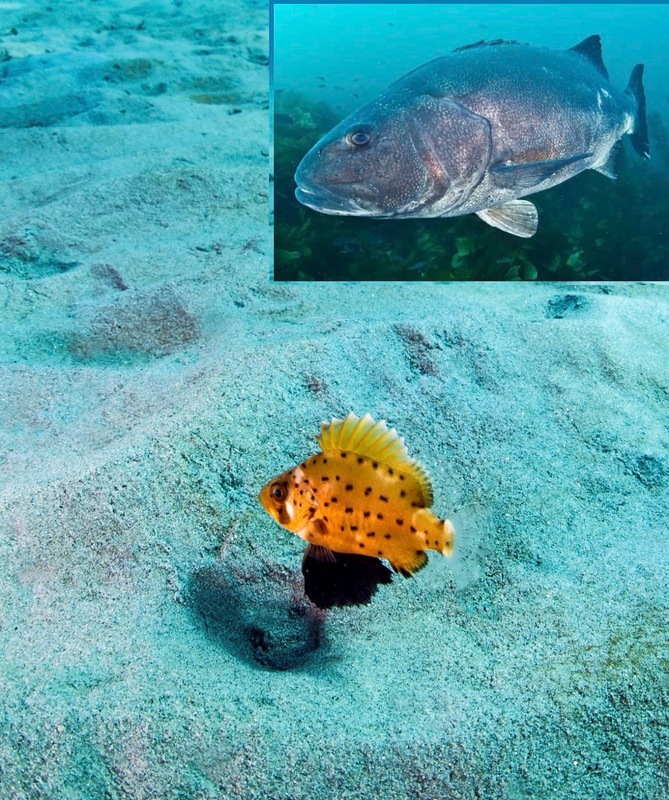 This study identified nursery habitat, recruitment patterns, the planktonic larval duration (PLD), size and age at settlement, and growth rate of the young-of-the-year (YOY) Giant Sea Bass (GSB), Stereolepis gigas, off Southern California. A total of 160 YOY GSB were sighted on 150 transects over a three-year period. Young-of-the-year GSB were relatively rare (maximum density of 40/ha) and recruitment was limited to a few areas. In 2014–2015, densities of YOY GSB were significantly higher at six locations off sandy beaches nearest the heads of submarine canyons off Redondo Beach, Newport Beach, and La Jolla, California. The vast majority of occurrences of YOY (73%) were within 500 m of the heads of submarine canyons. Three color phases of YOY were discovered ranging (smallest to largest individuals) from black to brown to orange. Recruitment occurred from July through February with peak abundances occurring in the late summer months from August through October. YOY occurred at depths from 2 m to nearly 10 m. Overall, size of YOY GSB increased with depth in the shallow sand riffle zone. YOY grew rapidly at 1.23 mm/day (n = 23) with collected individuals ranging from 31 to 84 d old based on daily ring increments in otoliths. The planktonic larval duration was estimated to be about one lunar month (26.8±2.4 d) based on the presence of the first settlement check and size of earliest settlers. 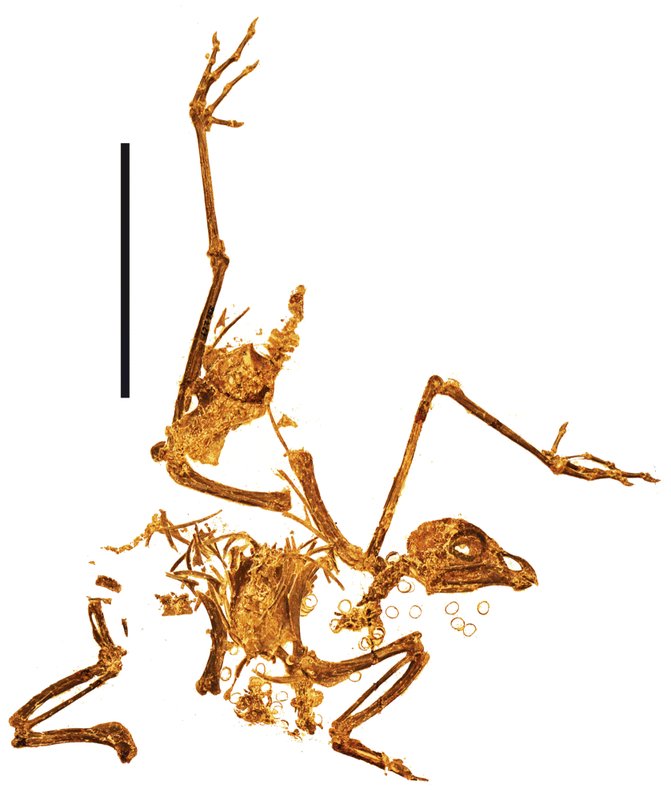 Size at settlement was estimated to be 14.4±3.0 mm TL (10.6±2.5 mm standard length [SL]). 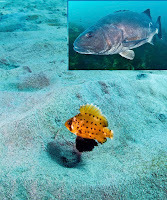 This information adds substantially to our knowledge of early developmental processes and recruitment patterns of Giant Sea Bass that are crucial to our understanding of their life history and to making informed decisions regarding fisheries management policies and conservation efforts. Fig. 1. A YOY Giant Sea Bass, Stereolepis gigas, photographed over a typical, nearshore, sandy bottom off the Southern California coast. Inset top: an adult Giant Sea Bass estimated at 2 m in total length photographed off Catalina Island, California. in Xin, Hong, Fu & Wen, 2017. 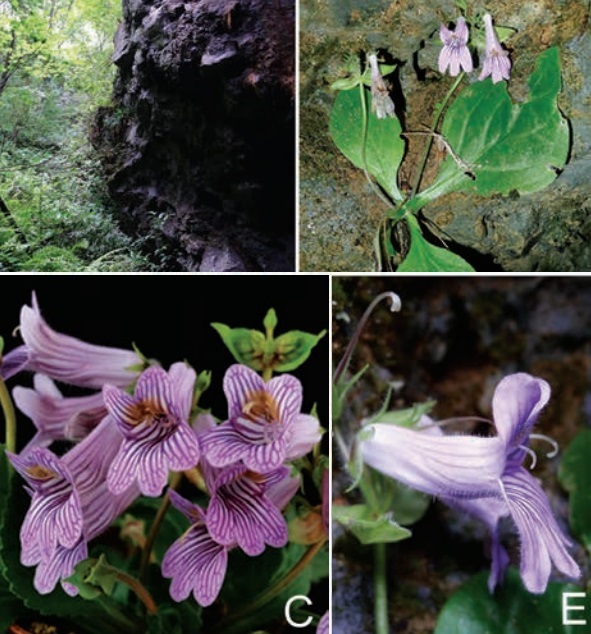 A new species, Primulina wuae F.Wen & L.F.Fu (Gesneriaceae), is described from the southern part of China. 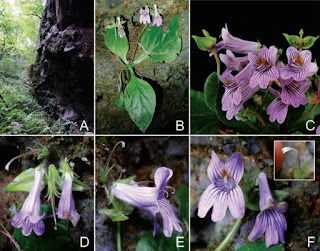 This new species is most similar to Primulina pseudoroseoalba Jian Li et al., P. roseoalba (W.T.Wang) Mich.Möller & A.Weber, P. subrhomboidea (W.T.Wang) Yin Z.Wang and P. beiliuensis B.Pan & S.X.Huang var. fimbribracteata F.Wen & B.D.Lai, but differs from these in characters such as the size and indumentum of the bracts, the indumentum of the pedicels and anthers, the length of the pistils etc. A provisional conservation assessment is also provided. Fig. 1. Primulina wuae F.Wen & L.F.Fu. Primulina wuae F.Wen & L.F.Fu sp. nov.
Etymology. 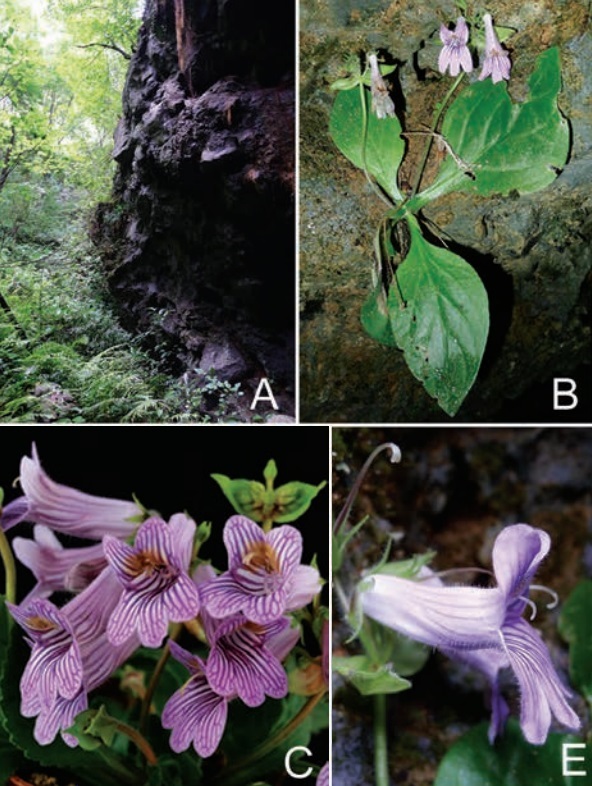 The new species is named after Ms Xiang-Hong Wu, who first discovered and collected this rare species and who accompanied us on a number of subsequent field expeditions in Quanzhou, Guangxi. S. Li, Z.B. Xin, X. Hong, L.F. Fu and F. Wen. 2017. 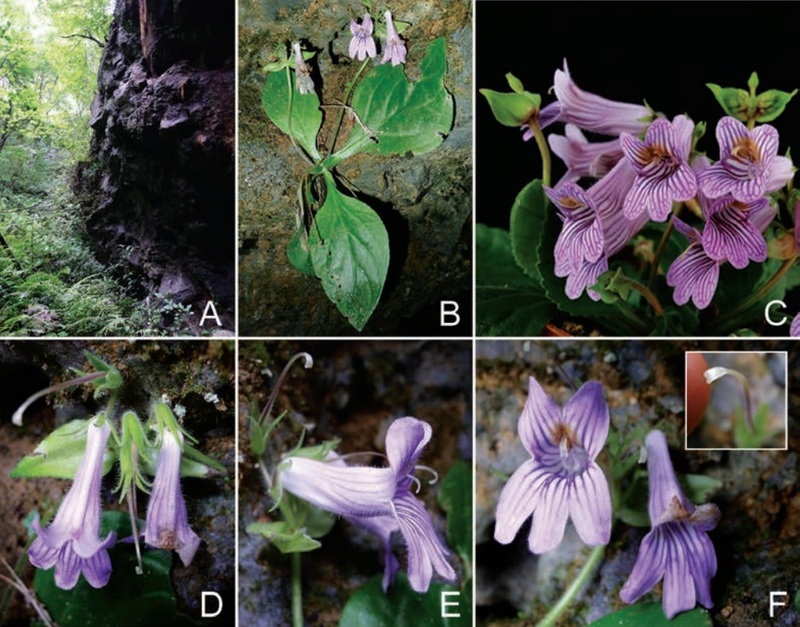 Primulina wuae (Gesneriaceae), A New Species from southern China. Gardens' Bulletin Singapore. 69(2); 307 - 313. 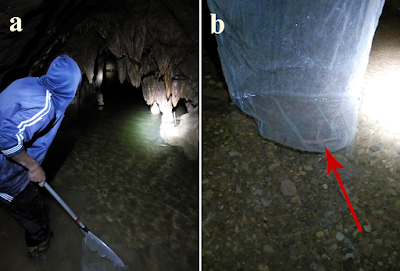 DNA barcoding of stygobiotic shrimps of the genus Xiphocaridinella Sadowsky, 1930 (Crustacea: Decapoda: Atyidae) collected in underground streams flowing inside two neighboring large karst caves (Otap and Abrskil сaves) revealed the presence of two distinct genetic lineages representing the first case of species co-occurrence in the Western Caucasus. 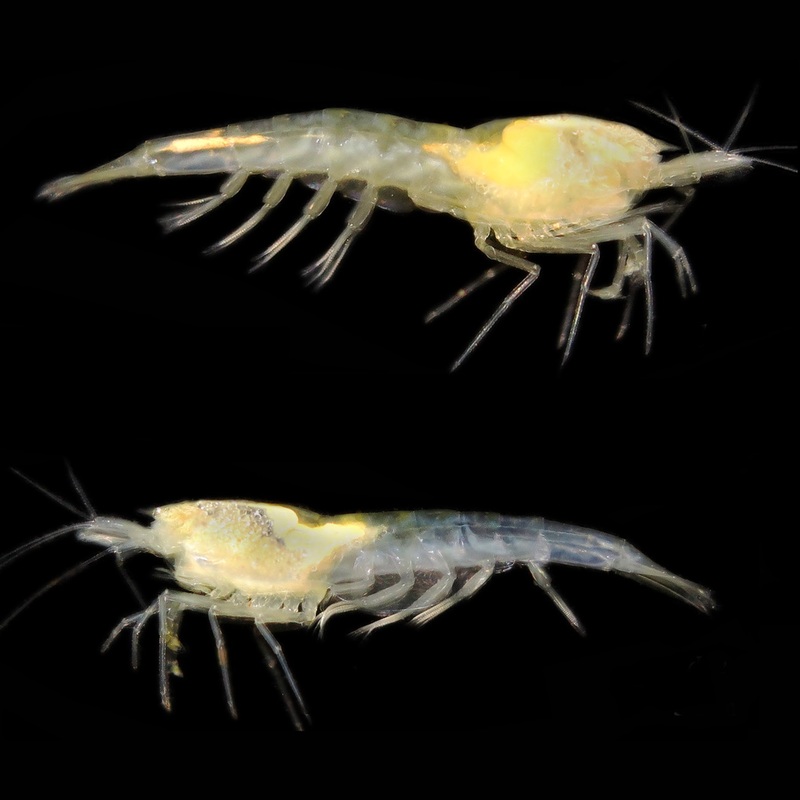 The paper presents the complete morphological re-description of stygobiotic atyid shrimp Xiphocaridinella ablaskiri (Birštein, 1939) and the description of a new species using genetic and morphological analysis. Other known cases of co-occurrence of several stygobiotic shrimp species in the same cave system as well as new genetic data (COI mtDNA) on Western Caucasian species of the genus Xiphocaridinella are discussed in the paper. in Rai & Adhikari, 2012. A new species of Rhododendron, R. rawatii is illustrated and described from the Western Himalaya. 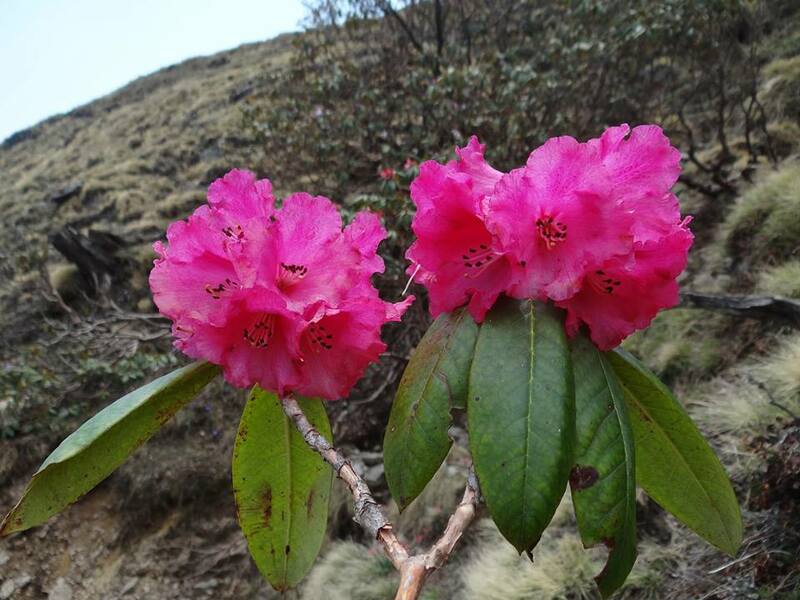 The species is sporadically found in the subalpine-timberline zone of Uttarakhand state. Fascicled white cottony hairs on the abaxial surface in between lateral veins of leaves, bright pink and shine-less corolla and comparatively large calyx with hairy margins distinguish the new species from its nearest ally R. fulgens. 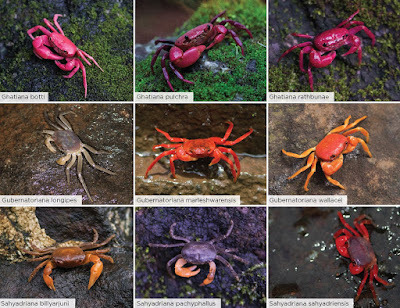 The populations of the species were found in two geographically distinct localities in the Rudraprayag and Pithoragarh districts of Uttarakhand state. 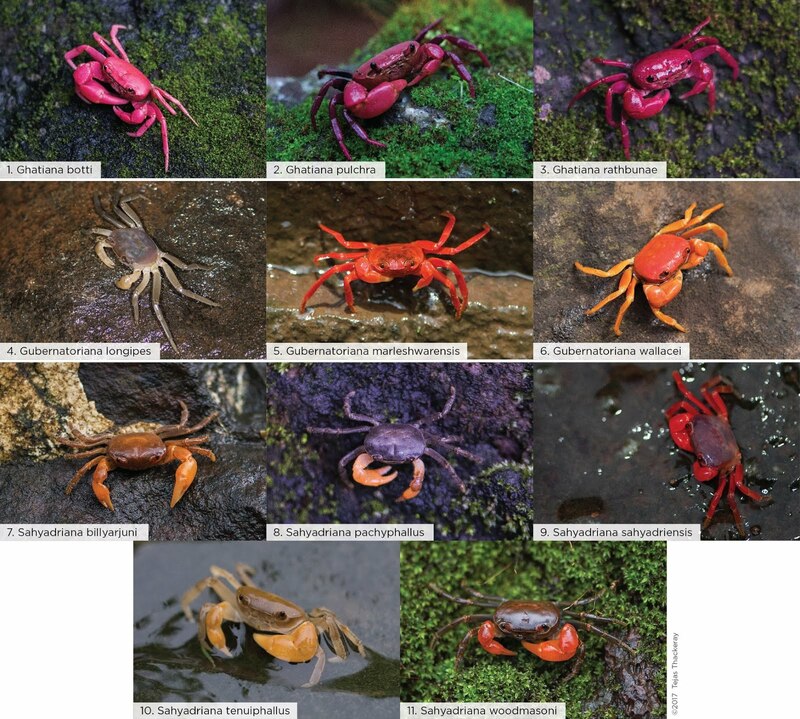 The distinguishing morphological characters, affinities with other species and various ecological aspects of the new species are discussed here. 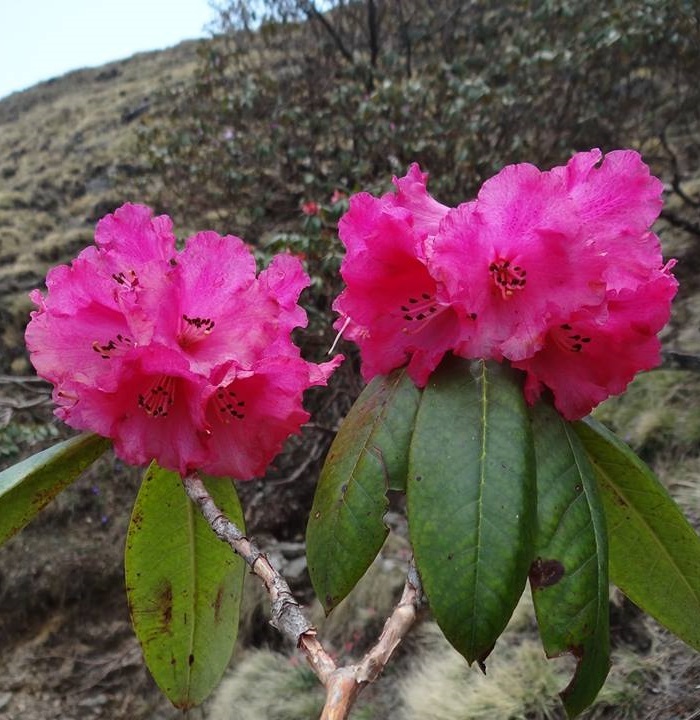 Rhododendron rawatii I. D. Rai & B. S. Adhikari sp. nov.
Etymology:— The epithet rawatii acknowledges Prof. Gopal Singh Rawat, one of the leading phytotaxonomists and ecologists of India. Fig. 1 Skeletal morphology of total clade musophagids. 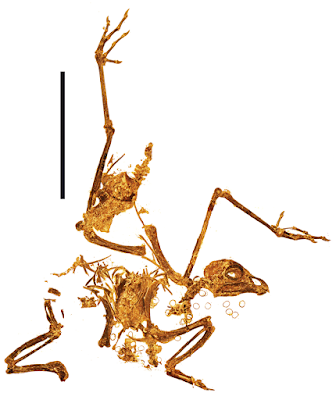 (a) Complete skeleton of Foro panarium holotype USNM 336261. Scale bar equals 10 cm. A new species of Oreobates Jiménez de la Espada, 1872 is described from the seasonally dry tropical forest associated to rocky outcrops of the northeastern Goiás State, Central Brazil. Oreobates antrum sp. nov. is diagnosable by the combination of morphological characters (e.g. small size, dorsal and ventral skin texture smooth to finely shagreened, and broadly enlarged truncate discs on Fingers III and IV), call attributes (composed of a single note and no harmonics with dominant frequency ranged 2070 Hz to 3273 Hz), and supported by molecular evidence (phylogenetic position and genetic divergence) with high degree of differentiation among other Oreobates species (divergences of 4.0–20.6% for 12S, 7.0–14% for 16S, 0.7–4.0% for RAG-1, and 1.1–8.0% for TYR). 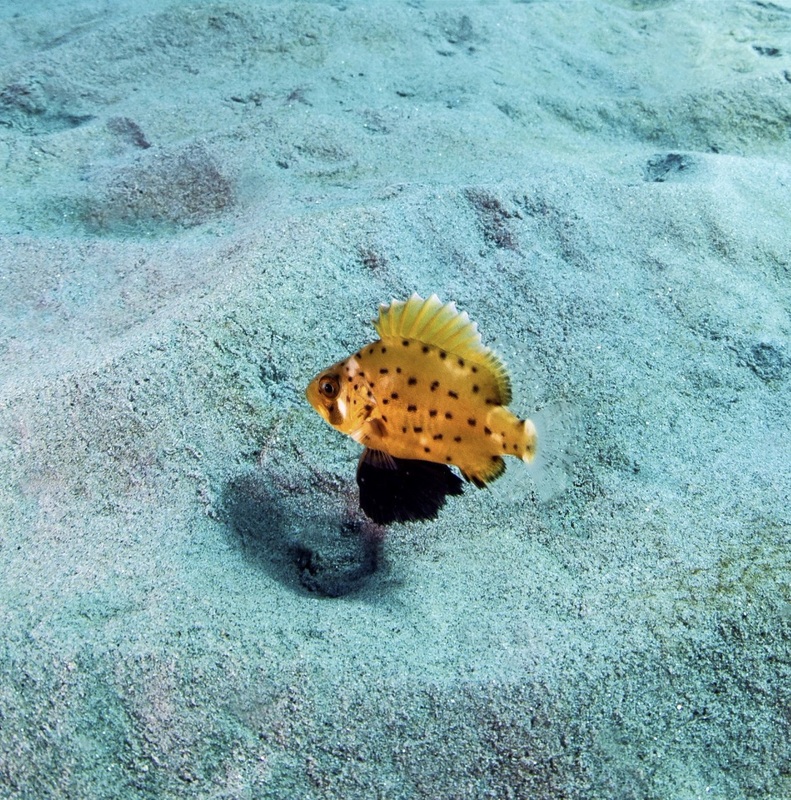 The new species was recovered as the sister of Oreobates remotus. reddish-brown Oreobates antrum sp. n. from the type locality at São Domingos, State of Goiás. FIGURE 3. Color patterns in live specimens of Oreobates antrum sp. n. from the type locality at São Domingos, State of Goiás. Absence of dorsolateral bar (C), dorsolateral longitudinal stripes from post-ocular to sacral regions (D), diagonal labial bars slightly faded (E), light brown blotches between the eyes and nostrils (F). Photos by D.L. Santos, S.P. Andrade and E.P. Victor-Junior. Etymology. The specific name antrum is a Latin adjective meaning “hollow, cave or cavity”. This name refers to the habitats where this species is found, caves of the calcareous rocky outcrops of the Cerrado associated to dry forests. in Ázara & Ferreira, 2018. 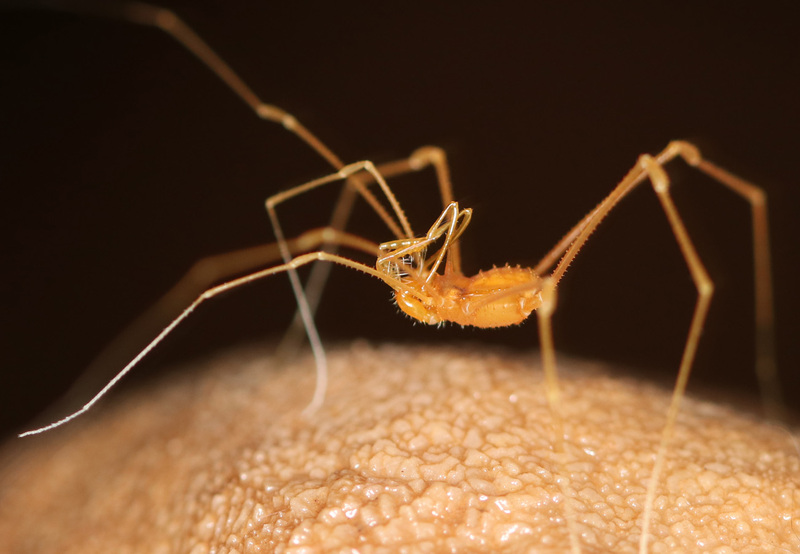 In Brazil, the order Opiliones has been well studied, making this country the leader in research with the group, but few extensive works have been made on the distribution of harvestmen associated with caves. In this context, the present paper aims to list all records of the superfamily Gonyleptoidea associated with Brazilian caves, using records from the literature and unreported data from scientific collections. The compiled checklist contains the largest number of harvestmen species recorded for caves in one country, worldwide. A total of 155 species belonging to 7 families were recorded from 952 caves throughout 152 municipalities and 17 states of Brazil. 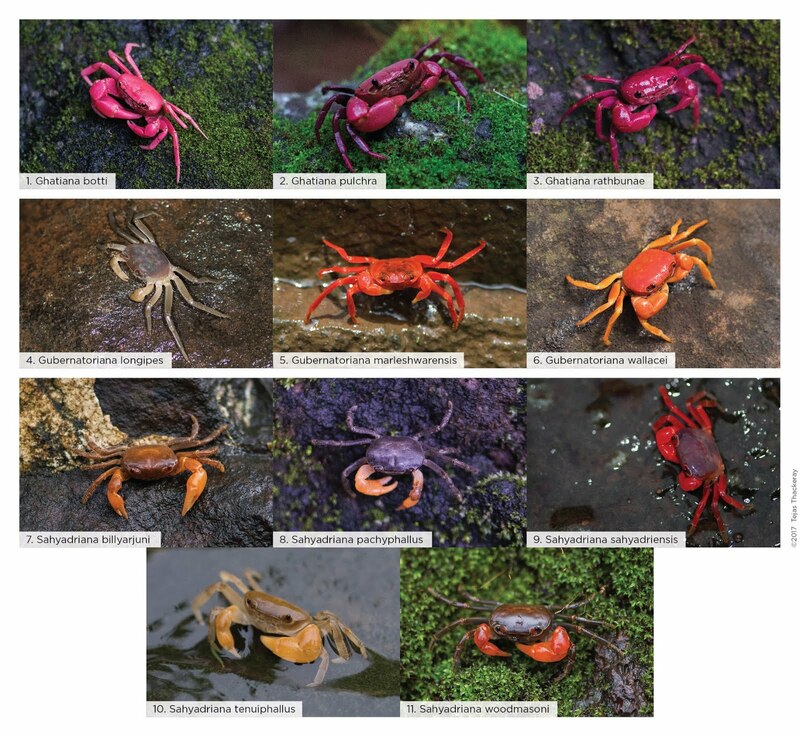 A considerable number of 46 putative (undescribed) new species were recognized, including 9 troglomorphic species. Additionally, 161 new municipal records where found for 58 known species. The most diverse family was Gonyleptidae (104 spp. 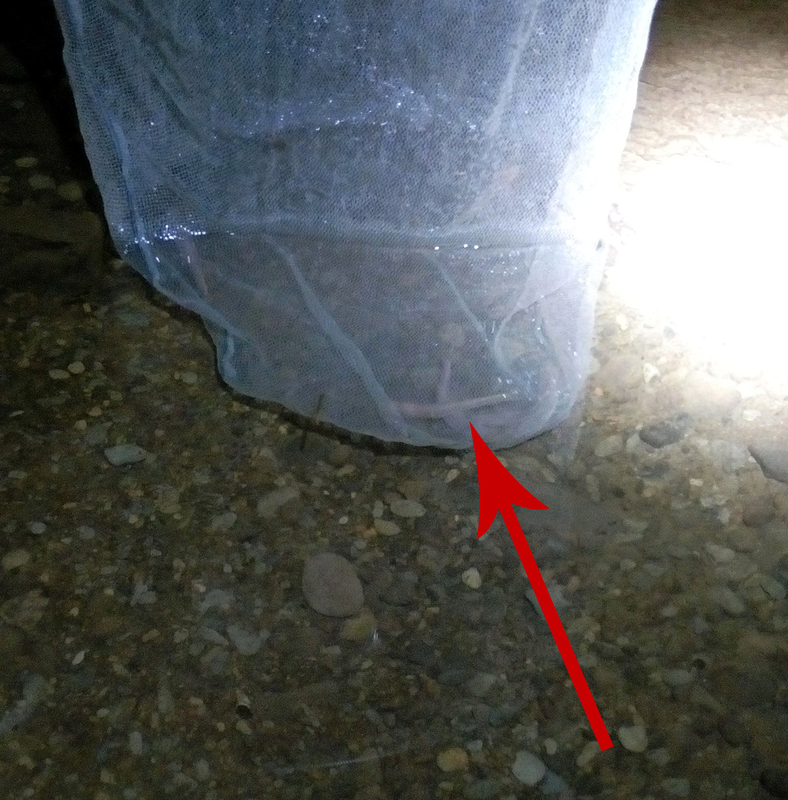 ), with the subfamilies Pachylinae (55 spp. ), followed by Goniosomatinae (18 spp.) and Mitobatinae (16 spp.). 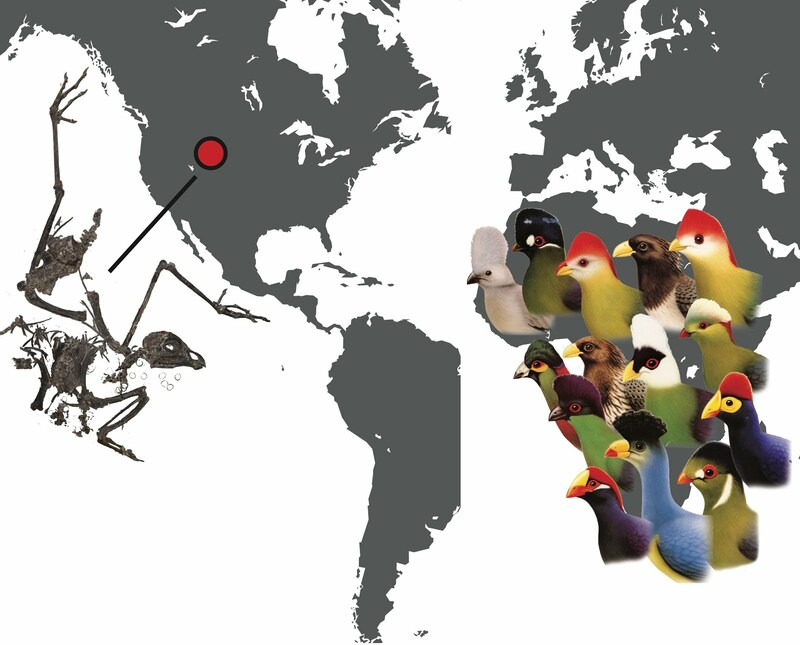 The number of described species analysed in the present work represents about 12% of the Brazilian opiliofauna of Gonyleptoidea, with many species widely distributed, being indicative of affinity of the group with the cave environments. Thus, the compilation of distribution data of such species (mainly the troglobitic and troglomorphic) can directly contribute to a higher valuation of their habitats, leading to better preservation policies, as well as being useful for future ecological and biogeographical studies.